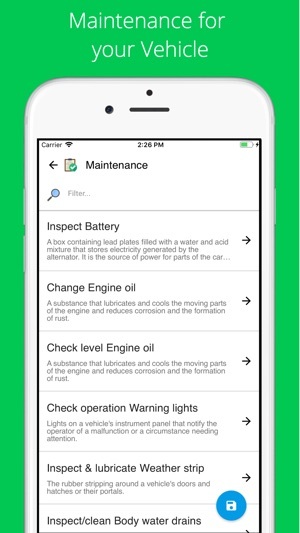 VINDecoded.com for IOS – try the most accurate and thorough VIN Checker and FREE VIN Report. Getting a free vin check of any used car has never been this easy and detailed! Shopping for a used car and looking for a car report? Car Shopping for a used cars is now easier! VIN Decoded has you covered. Our advanced vehicle finder performs a thorough VIN check and Market Value Report for your used car buying process. 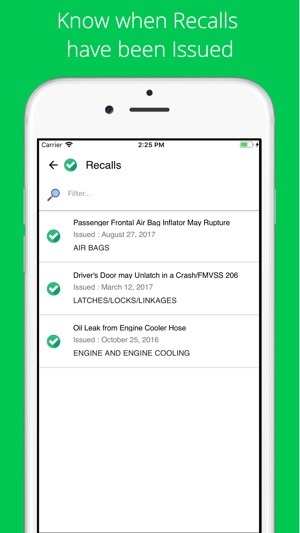 VINDecoded has already helped hundreds of thousands vehicle owners and enthusiasts to get the correct information for their desired vehicle. 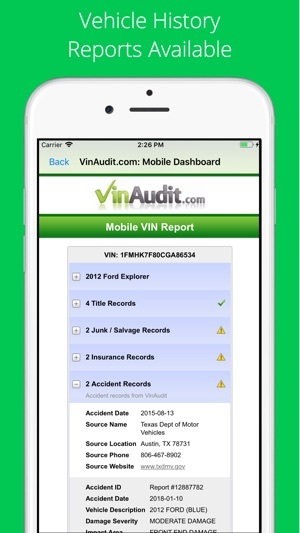 Now it’s your turn to perform an easy VIN lookup and get detailed used car reporting for your car buying process. 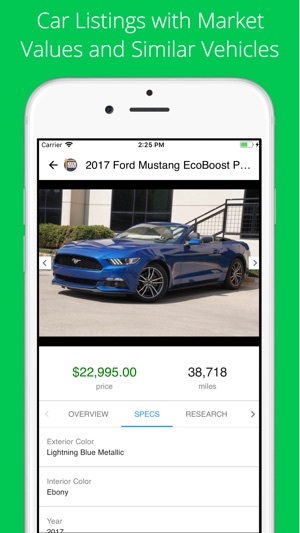 A great tool for comparing cars and getting the most accurate value of the vehicle compared to other used cars for sale! Get a leg out on those pesky used car salesman by knowing what similar cars are for sale and seeing how your car compares. While KBB, Edmund, and NADA give you estimated values, we actually compare the car you are looking at to other vehicles that have been sold and are for sale to give you the most accurate used car value available! VINDecoded works great in conjunction with car gurus, Truecar, Carmax, Autolist, and more to run a compare car report. - Great tool for tow trucks and towing truck! 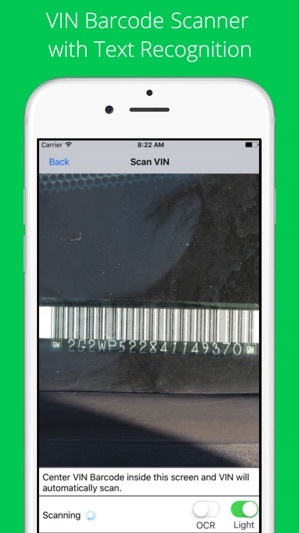 With VIN Decoded advanced integrated VIN barcode scanner for used cars be sure to get accurate data and vehicle history! The easiest VIN Decode tool around! Easily the most information for an automobile that is available! 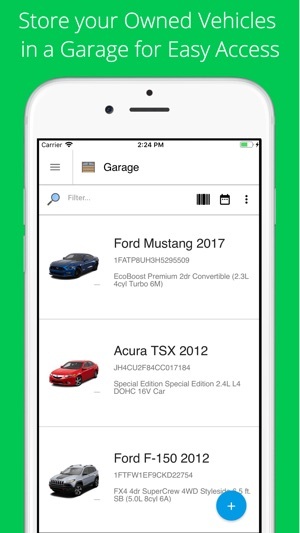 New - search for cars! This is a must if you are considering the purchase of a used auto! 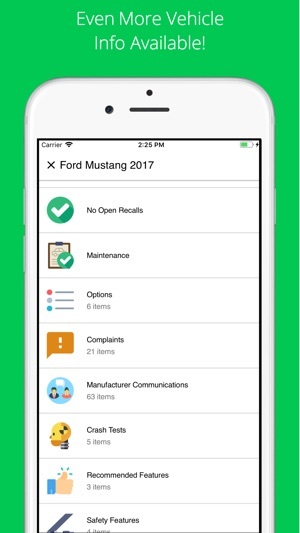 This app helped me understand why a very nice looking car at a seemingly decent dealership was not listed on all the major sites (where one can see a CARFAX, AutoCheck, etc) - because the car had 140,000 more miles than stated in the midst of its convoluted description (and why “0” was listed by MILES and why there was no photo of the odometer). Now, I will know better. Busted, you jackasses!! 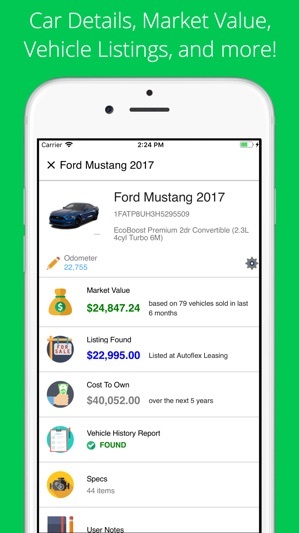 This app is great I have used it several times it is half the price of the high dollar vin check sites and it has more information I pulled a report on this site and pulled a report on another vin check site and they had information that the other site did not, this is a great tool to have if you are thinking about buying a used vehicle! 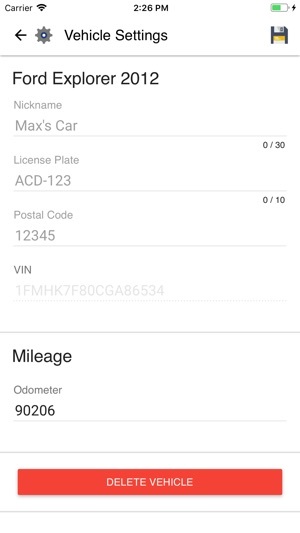 I have been able to compare information from the app to original automobile documents mileage etc. So far extremely accurate results. Reliable vehicle information on the fly. Bravo!